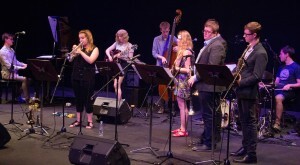 The National Youth Jazz Summer School 2016 Final Performance took place on Saturday 13th August 2015, 5pm-8pm at Uppingham Theatre, Uppingham, Oakham, Leicestershire. 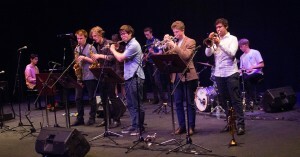 Five ensembles presented excerpts from the tunes they had developed during the summer school week. Each had been supported by outstanding musicians / tutors from the British Jazz scene as well as Canadian composer / instrumentalist / educationalist Christine Jensen. To top that off our President Dave Holland joined us from New York for four days, giving masterclasses and tutorial sessions to each ensemble. 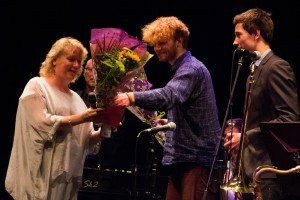 In a tribute to him the evening’s concert ended with everyone playing his classic “Pass It On” together – our theme tune! Click on images to watch the concert on YouTube now! 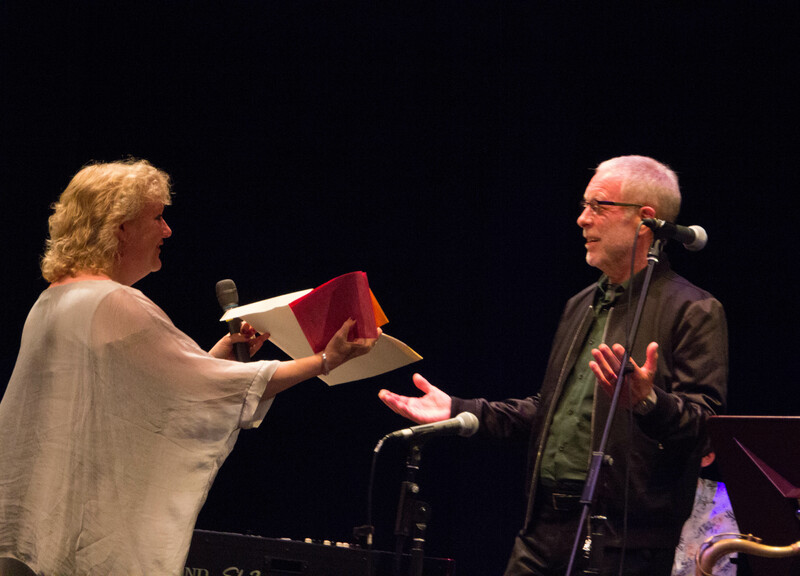 Big thanks to Dave Holland and Issie Barratt!